Error in GSA Captcha Breaker — . :: GSA SEO & Marketing Forum ::. 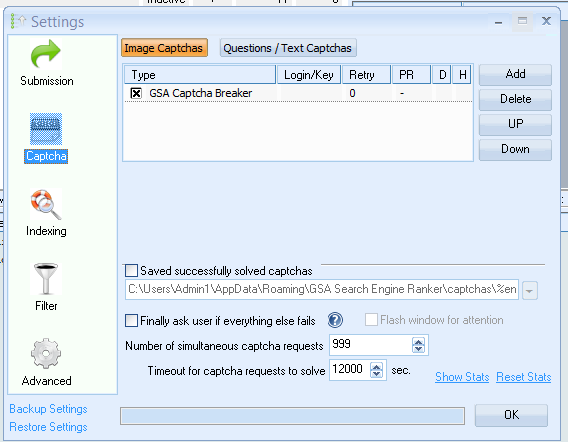 I Run GSA SER with GSA captcha breaker every day. This morning when I started GSA captcha breaker and I got pop-up window to upgrade version. When I upgraded and downloaded new version, I got an error. "Unable to solve this Captcha by using captcha service." I can see this error for every project I am running. If anyone knows how to solve this, please let me know. what captcha service do you use inside of CB? Though its a bad idea using captcha services in CB when using it with SER only as SER will run must faster if it can handle the captchas itself after CB. So please consider adding the services in SER and not CB. I am not using any Captcha services inside CB. But still, I can see the error during running. I am sharing 2 screenshots first one I captcha service inside CB and another one is GSA SER Captcha setting. If I will be wrong at any point, please let me know as I can not wait so long to solve this. OK this seems to be an log issue and I will fix it. 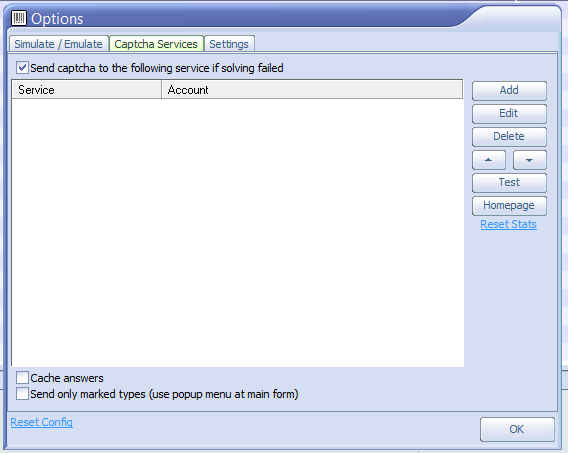 Meanwhile please uncheck the box to use captcha services in CB as you have no service defined anyway. I have unchecked the box, but still getting same issue. Is there anything I can do? Could you please give me any idea about this error. If I unchecked "Run as webserver", I can not see this error but still Captcha breaker is not working, even I enabled "Skip Hard to solve Captchas" option. well I guess you have opened 127.0.0.1 in webbrower and then you will see that. Just ignore it. CB should however solve things same as before.